This Pure & Rustic Echallat Single Estate is a 1975 vintage Cognac, limited edition of 1190 bottles. This cognac comes from the estate of René Gommet, Bouilleur de Cru. The blend is at 48% ABV, the grapes used for the wine are Ugni Blanc. Bache-Gabrielsen is a medium-sized family-run cognac house with an international history. The cognac house is looking forward to its upcoming 100th anniversary, with the creation of the company in 1905. With its clean design, Bache-Gabrielsen takes an important position in the cognac market, exporting mainly to Scandinavian countries. Hervé Bache-Gabrielsen, the fourth generation head of the company, is well aware that the cognac industry is undergoing changes, with the international market being heavily developed and marketing strategies refined to cater a younger, trendier consumer-base. Considering the size of the business in comparison to the big cognac houses, it is surprising to find out that it holds the market leadership in cognac sales in Norway! Eye: Amber liquid. Nose: Aromas of ripe apricot, pear, and vanilla. Palate: It has a certain character thanks to the American oak, with light tropical flavours of coconut, caramel, and chocolate on the palate. 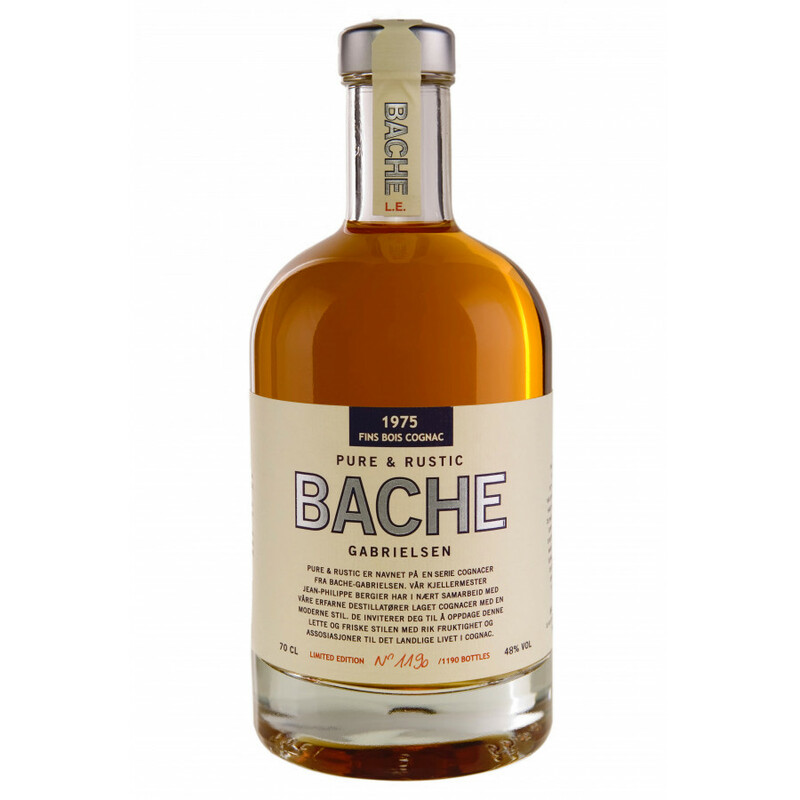 Tasting review by Bache Gabrielsen: a flavour of nuts, dried apricots and well-matured cognac. Tasting review by Park Cognac: Offers a variety of aromas such as dried apricots, blackcurrant, finishing with notes of pink grapefruit. The final note reveals hints of vanilla and milk chocolate with an exceptionally long finish. On the nose some fruits, ginger and a hint of sweet vanilla, some gingerbread, a soft palate and solid finish. Tasting review: Eye : Golden amber Nose: Deep and powerful, with woody tones and hints of fresh vegetation Palate: Slightly bitter, with notes of vanilla and chocolate. The finish is long, and pleasantly warming.